The experience with my first BenQ projector did not go well and I lost confidence in trying another one from the manufacturer. 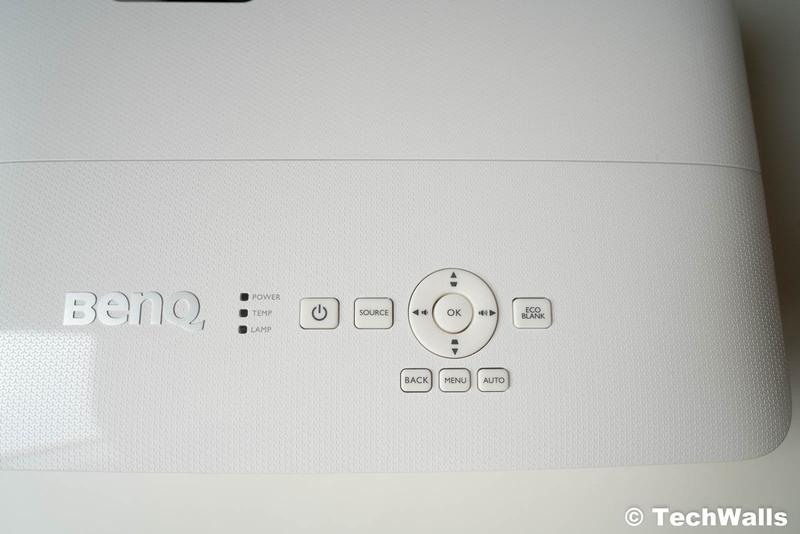 However, the BenQ MH530FHD projector has received rave reviews all over the Internet, so I decided to give it a chance. Keep reading for my full review. 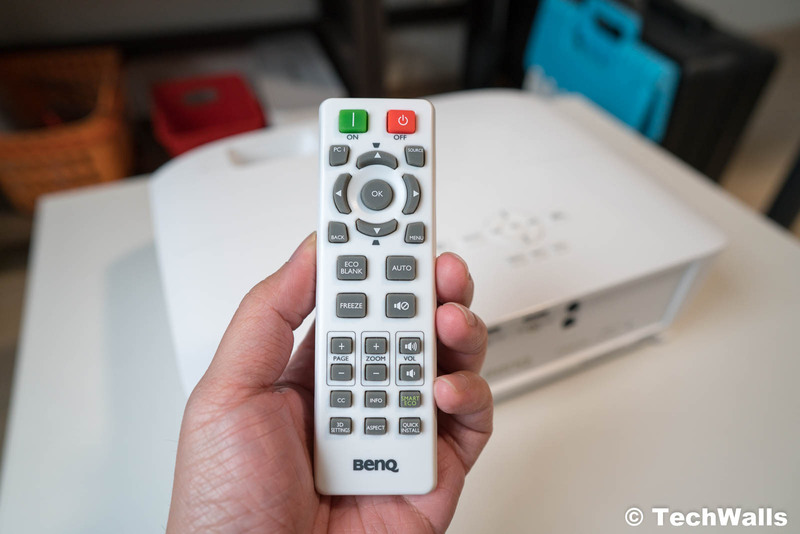 Unlike the BenQ i500 that I tested earlier, the BenQ MH530FHD is different in every aspect. It is a traditional projector with no smart features, no built-in OS, no short-throw projection, and no portable design. Inside the box, we have the projector, a remote control, a VGA cable, and power cord. It is so simple to start using the product; since it doesn’t have an OS, it requires no setup at all. You’ll just need to plug it in and connect it to your video source. On the back, we can find some familiar connections like HDMI, RCA Component Video (Input), 15-Pin VGA Video (Input), S-Video Video (Input), 3.5 mm Mini Audio (Input), 15-Pin VGA Video (Output), 3.5 mm Mini Audio (Output), USB Mini-B (Input), and RS-232C (Input). I use the HDMI port to connect to my computer and game console. All control buttons are placed on top of the speaker, however, I rarely touch them since using the remote control is a lot more convenient. The BenQ has the throw ratio of 1.37-1.64, this is a normal ratio and you can project a 60-inch screen at a distance of 1.82m. The maximum projection size is 300 inches. 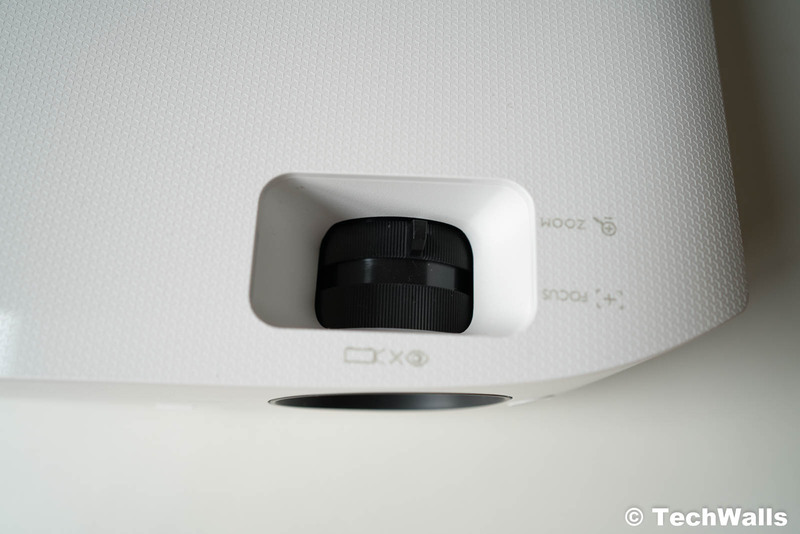 Besides, we have two knobs to adjust focus and optical zoom (up to 1.2x). The projector has a built-in speaker but it makes a very silent sound, so you’d better connect to an external speaker to hear everything clearly. Under normal settings, the lamp could last up to 4,500 hours, so you won’t need to worry about replacing it anytime soon. In case you use the SmartEco or Eco Blank Mode, the lifespan could reach 10,000 hours. The projector is not really compact but it is still lightweight and you won’t have any problem carrying it around. The only concern is that it doesn’t have a lens cover, so I’m just a little worried when moving it. I didn’t expect much from the image quality since all of my previous projectors just produce acceptable images. However, the image from this BenQ MH530FHD looks surprisingly good. You can check out the video below to see how clear it is. The projector has the native resolution of 1920 x 1080 pixels, the contrast ratio of 15000:1, and the maximum brightness of 3300 lumens. The illumination of the lamp is quite impressive and it’s good enough in a well-lit room. Of course, the image still looks best in a dark room, however, it is totally acceptable in brighter rooms. Notably, this is one of a few projectors that allow me to read small text. 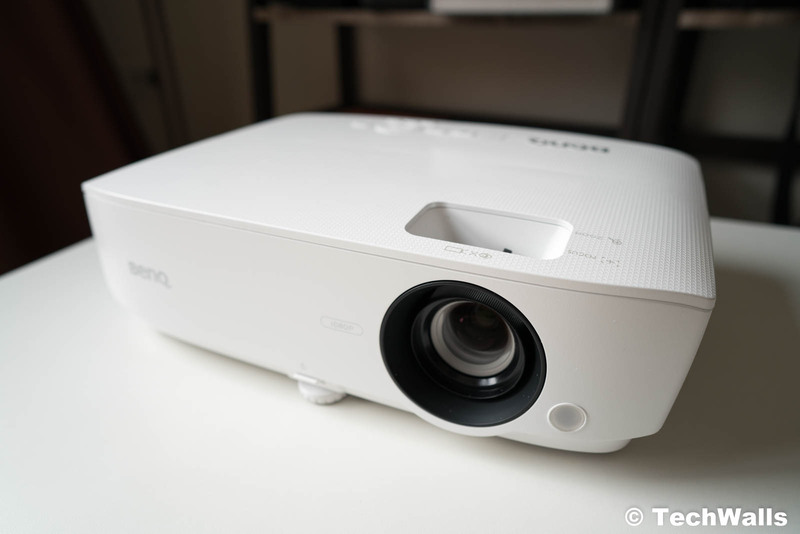 My previous projectors often project very blurry and pixelated text, however, the BenQ makes the text sharp and crispy, therefore, reduces eyestrain when reading documents or webpages. It is not only suitable for meetings or classes but also for your home entertainment system. When I watch movies with this projector, I really enjoyed the color accuracy, the details, and sharpness. Even when I look at the image up close, everything still looks pretty sharp and the color is not washed out. I thought that the gap in image quality between a TV and a projector was very far but it is definitely getting closer now. 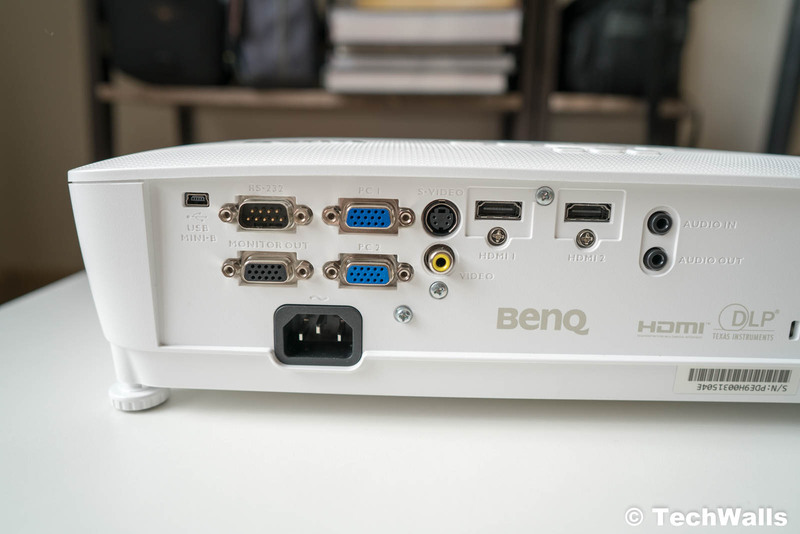 The BenQ MH530FHD is probably the first full-HD projector that I’m totally satisfied with. It is a simple projector with no gimmicks and you’ll get the best picture quality in class. We at TechWalls highly recommend the product.